Human trafficking is one of the biggest issues that has been flying under the radar for years and years. Out of desperation or out of bring naive, it is a global issue affecting countless lives every day. The 2017 drama film "Nona" tackles the issue of human trafficking in a way that reminds us that this business is simply ruthless. 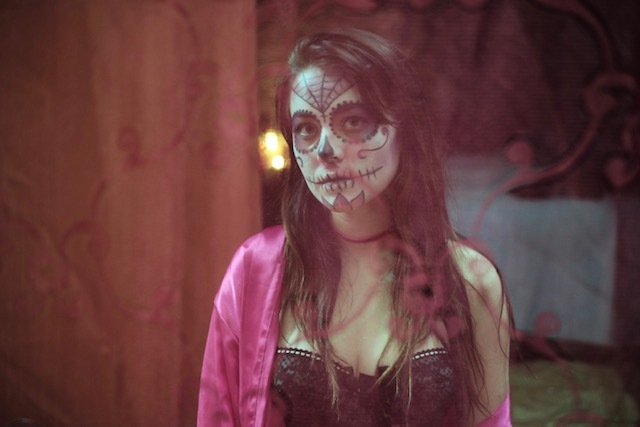 A young funeral make-up artist from Honduras (Sulem Calderon) meets Hecho (Jesy Mckinney), a charming Mexican who promises to bring her safely to America to reunite with her mother. While Hector proves that he has the means to actually pull it off, instead, Nona faces a stark reality that will shatter and destroy her American dream. If there's one thing that really frustrated us with "Nona" it would be its consistency to delivering its core message. The film lacks cohesiveness and that emotional core to really pull audiences into what it wants to say. Otherwise, "Nona" is actually a good film. 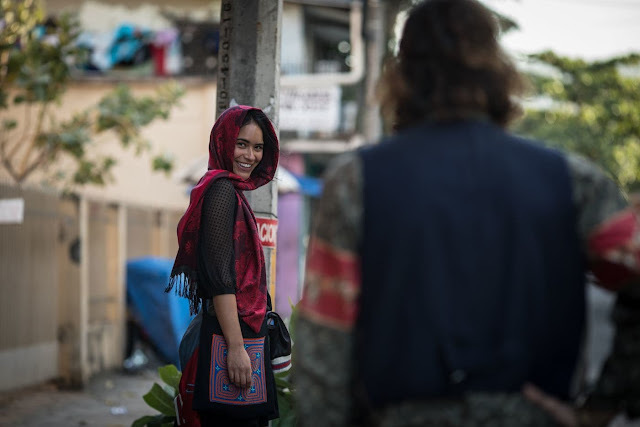 The film starts of with our lead character, Nona, being interrogated and soon we find ourselves going back to where her problems all began - meeting a charming young man named Hecho who entices her to come with him to America. The girl is easy prey as she never sees the true intentions of Hecho. The first hour of the film in fact reflects this as we find ourselves seeing scene after scene of our lead female swooning over Hecho and finding herself having a pretty grand time travelling from Honduras to Mexico. The last half hour provides a stark contrast as Nona finds herself in the United States of America but inside a brothel with a debt she must repay for who knows how long. All of this had great acting. Sulem Calderon was a revelation as Nona showcasing her flexibility as an actor as the role demanded different portrayals with each reality Nona faced. Jesse McKinney as Hecho was also perfect as both actors had great chemistry and had us swindled with his true intentions with Nona. 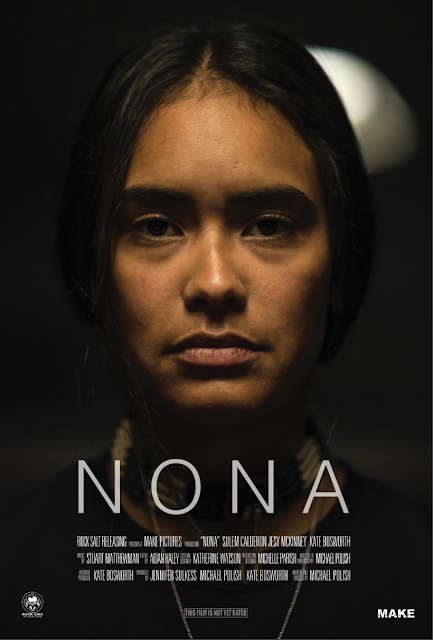 Overall, "Nona" is a good take on the topic of human trafficking. It had a twist that we failed to catch and more importantly great acting. "Nona" is now available in various On-Demand and Streaming services. You can visit: https://nonamovie.com/watch for DirecTV, Amazon, Fandango, Vudu, AT&T, Hoopla, Vimeo On Demand, Comcast, Charter, Cox, Brighthouse, FlixFilng options.